Oh, wait. Maybe I do have something to write about today other than Oreo obsession. Like Mother’s Day, which I hear is upon us. I should know that, being a mother and all. But for me, the traditional Mother’s Day routine of breakfast in bed and flowers could be easily and more effectively replaced by a few mid-morning hours of Netflix bingeing in bed and a steady stream of cocktails and dessert bars throughout the afternoon. Lately, I’ve been very into the word “adult” as a verb. As in, “I don’t feel like adulting today.” And boy, is that ever true so much of the time. Being a grown-up is hard, especially since we’re all just kids in older bodies. Or maybe you don’t feel that way, but I sure do. See, I still get excited by things that a much younger person would be into. Not only do I embrace each new fashion trend with open arms (well, not the comeback of high-waisted pants, but you get my drift), but I also delight in all things pink, feel the constant urge to be in motion, and carry old-school metal lunchboxes to work with cartoon characters on them. It doesn’t help that I’m relatively short and petite, so when I’m at work, I occasionally get yelled at for being in the halls during class. I wish our security people would look at my face a little more closely, because that part of me no longer passes for sixteen. So why adult when I’m not in the mood? Specifically, why adult on Mother’s Day? As I said, forget the usual tokens of appreciation. Just give me a day where I do not have to adult, and we’ll all be fine. 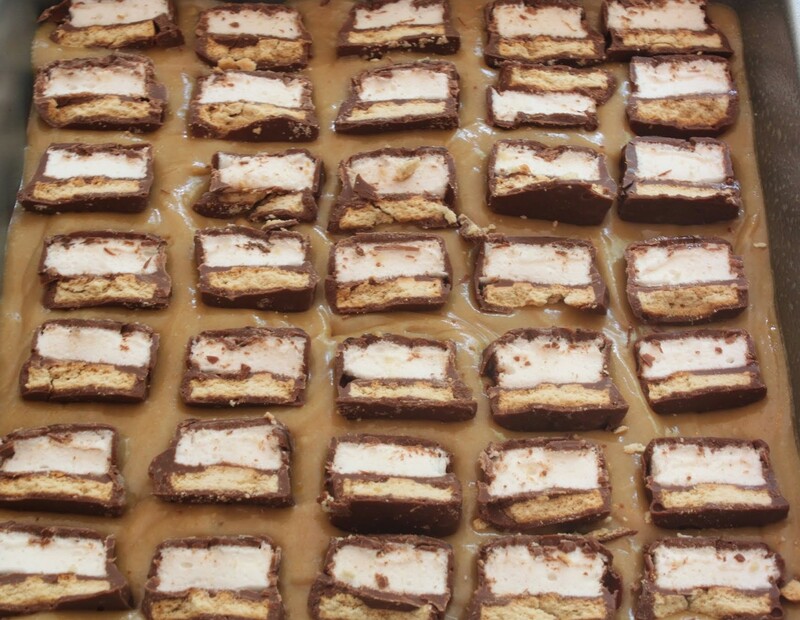 And let me at these brownies. They make life sparkle. Have you noticed the Oreo in the center of each one? Have you? Have you? As with most wonderful desserts that you feel like eating in PJs while wearing your fuzziest of fuzzy slipper booties, these don’t take much time to make. 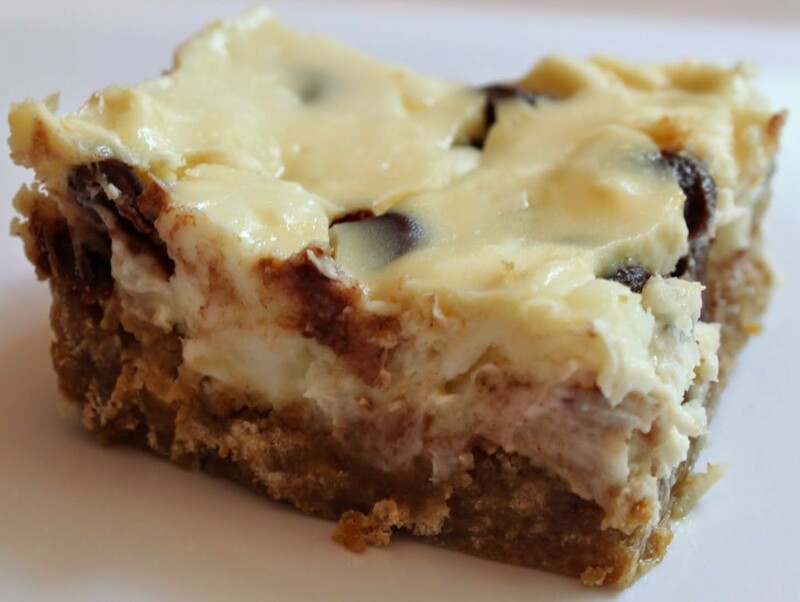 You can have your relaxation station time and still have brownies. That seems pretty good to me. Happy Mother’s Day to all my friends, both real and imaginary. Here’s hoping you get a day without adulting. It’s my dearest wish to you! Pour the batter into the prepared pan. Working in rows of 4 x 4, press the Oreos lighty into the top of the batter. Bake for 25-30 minutes, Do not overbake, or the brownies will not be as fudgy. Do you know how you imagine things one way and they turn out another? That was my Memorial Day weekend. We had big plans. They involved a splash park and train rides and playgrounds and ice cream and picnics. Three days of fun, all planned out! No problem, right? Except that my son spent a majority of the weekend on the couch moaning in agony with a stomach virus which I will no doubt be getting shortly, since I kept cuddling him and giving him tummy rubs. It was sunny and 85 degrees out, not a cloud in sight. And we were huddled in the darkened living room, taking occasional breaks from the moaning to watch episodes of Curious George. I think I’ll just move Memorial Day to next weekend. Me: Great! I’m making ganache. Mom: Oh. What’s the pie for? Me: I’m a baking blogger. I bake stuff. It’s a pretty frequent conversation that we have. My mom, a talented and fantastically strong woman, is not a baker. 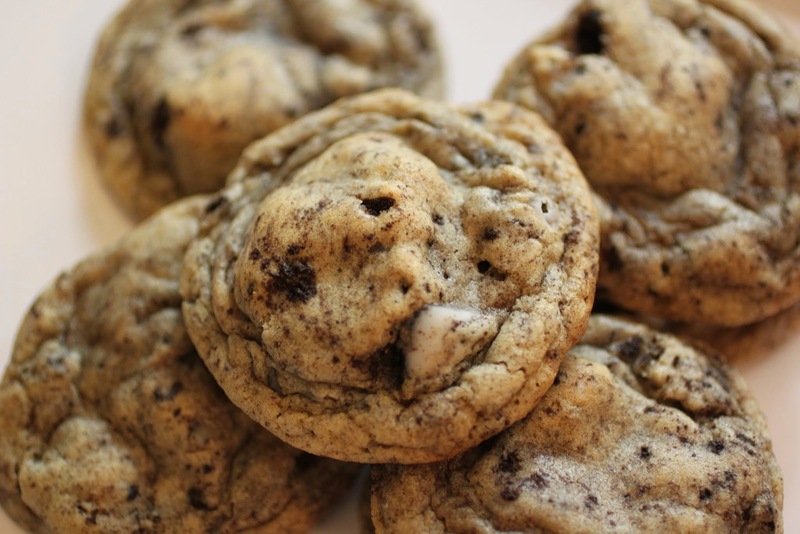 She sees it as a practical necessity at times, but otherwise, she never just bakes because it’s fun, whereas I bake all the time because I love thinking of dessert ideas and seeing where they go. That’s usually the primary reason I hop into the kitchen to create things. Oh my gosh. These brownies!! Girl, I need a dozen, stat! 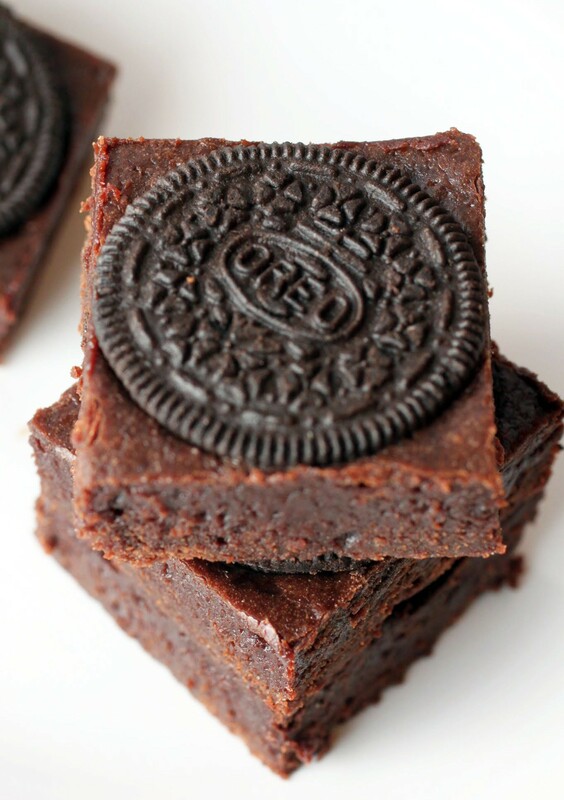 I definitely wouldn’t say no to these brownies! In fact, I would devour them ALL! Love the looks of these beauties! I did devour them all. I couldn’t stop myself! I can definitely see these having magical powers. And an Oreo at the center of each one? Just give me the pan. I want them all! 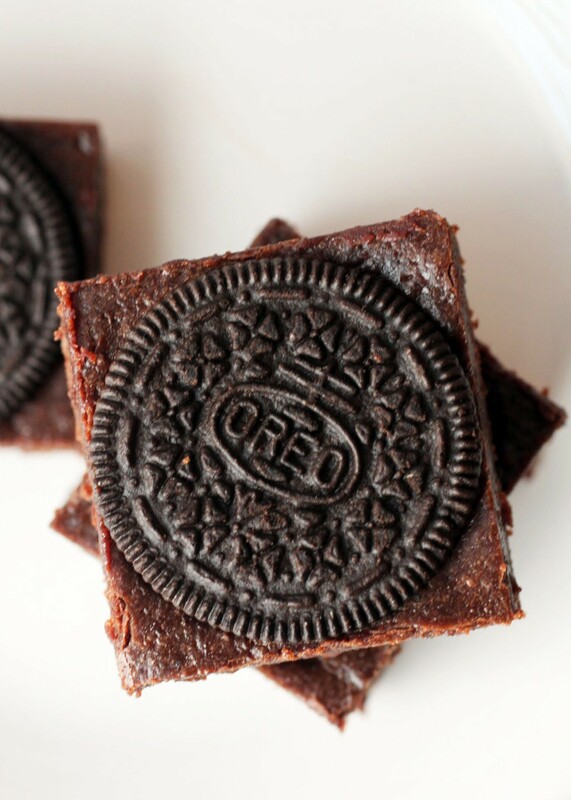 Every brownie deserves an Oreo at the center! It’s okay if you yell. I yell at myself when I force myself to remember how amazing Oreos are! Girlfriend, I’m totally down with not adulating and love your idea of how to spend Mother’s Day! 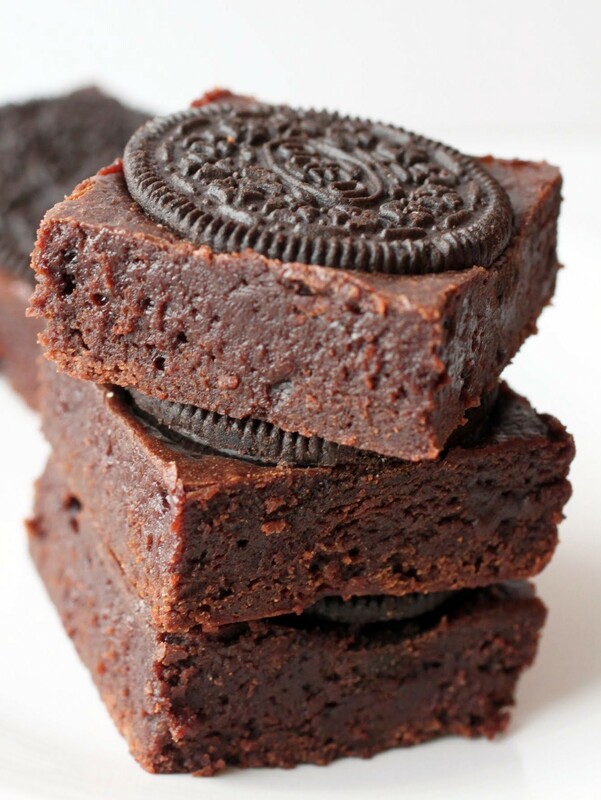 Please bring me cocktails and some of these crazy delicious indulgent Oreo brownies while I Netflix binge from the comfort of my bed! Happy Mother’s Day! Netflixing in bed is really the height of all happiness. Yeah!! Hope yours was lovely, Kate! I’ll join in on the “non-adulting” for Mother’s Day Mir! And binge-watching Netflix? Right up my alley. 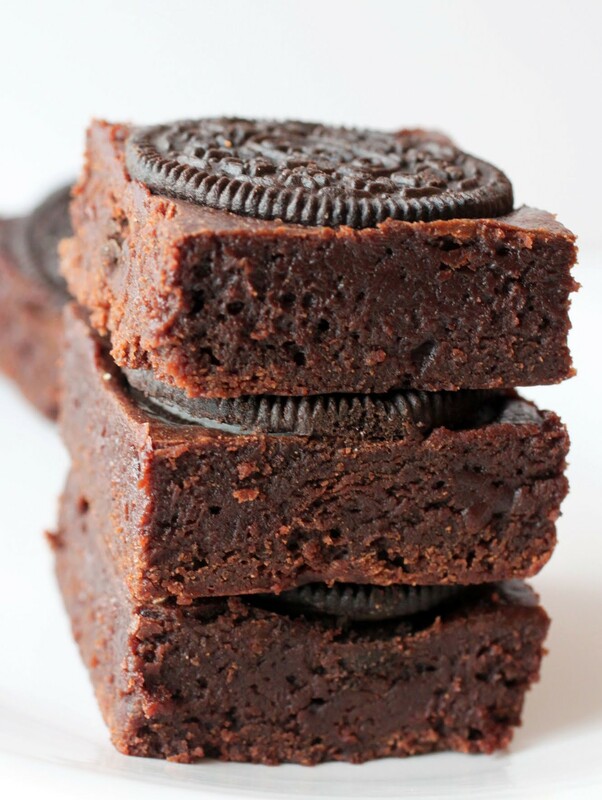 And so are these SINful looking Oreo Brownies. OMIGOSH! I would NOT be able to resist them either. Have a very Happy Mother’s Day! You too, Michele! Hope your kids gave you a day off! 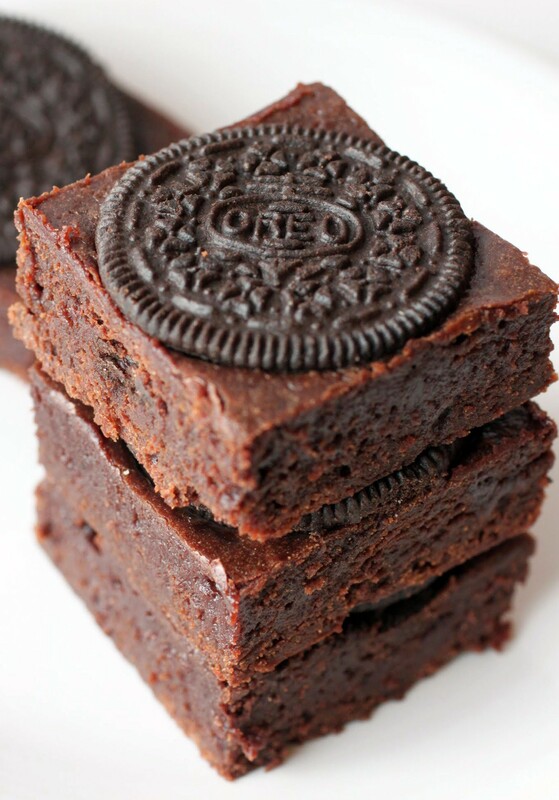 These brownies are perfect Mir! Seriously! And as adulting goes – it’s highly overrated 😉 I could get along without it just fine, it’s my poor family that would suffer – lol! Adulting is SO not fun. We can just forget about it…well, when the kids are older.